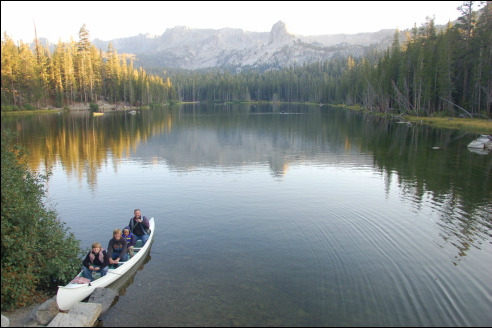 The hidden secret of Mammoth Lakes is that the summers are equally breathtaking, but less crowded, than the winters. And unlike winter, when activities are limited to the Mountain, in summers the lakes, hills, trails, waterfalls, and mountain all offer unlimited adventure. Whether you came to Sonenalp to fish, hike, bike, run, climb or just hang out, there are a few considerations to keep you safe while you take on Adventure, Refined. The weather is very unpredictable in the Sierras; in summer thunderstorms, wind events and even snowstorms are common and often blow in unexpectedly. Seek shelter when you see a storm developing. Keep off ridge tops and stay clear of lift houses, lift towers, power lines, open ski runs, the tall trees, fences and signposts.